The plan? Cruise the Milwaukee River with our guests looking at the backside of city real estate. Then, return to our condominium to eat good food and talk smart. Ma’ Nature had other plans. As the rain continued we found ourselves munching Cheetos, pre dinner, at the dinner table. 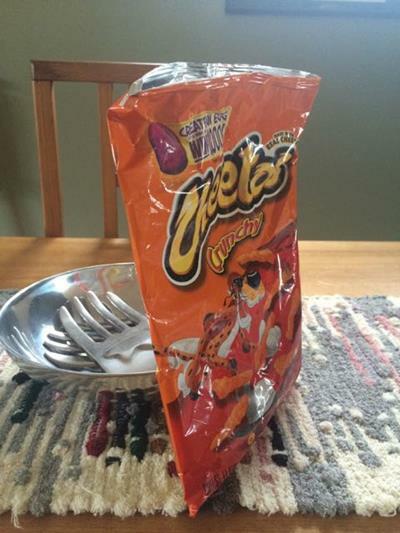 Cheetos as a boat snack was fine and a perfectly acceptable location. Cheetos served at the dinner table? Let’s agree in real estate and Cheetos – location matters. The towns were founded 11 years apart in 1868 and 1879, founded around steel and mining industries with German, Scottish, Irish and Italian settlers providing the workforce. Each town’s housing reflected an industrial hierarchy. The home below is a worker’s home, referred to in each town as a “worker’s cottage.” Cottage homes were often company-built to house the workers and were mixed among larger residences originally belonging to foremen and company executives. I’m writing of Bay View (Milwaukee), Wisconsin and Telluride, Colorado – a bicycle ride of 1,402 miles separates the two. Location must matter because the cottage to the left, located in Bay View, has an assessed value of $134,200. 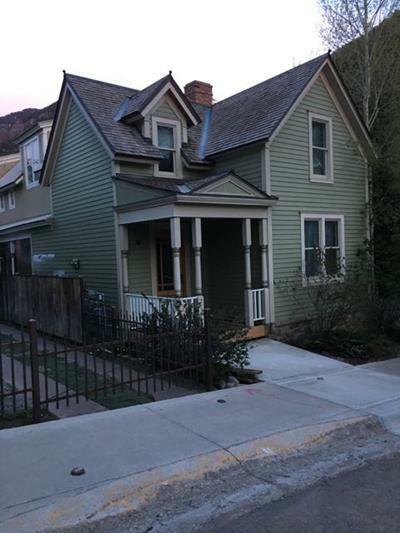 A workers cottage of similar style and condition in Telluride is assessed for $1.1 million. The question of location can take many forms beyond the obvious; for example, don’t buy across the street from an industrial site. Seven years ago I attended a downtown condominium open house. In front of the development/unit was a large vacant lot. I asked the open house agent (I didn’t tell her I was an agent), what might happen to the vacant lot? “Oh, that will never be built on,” she replied. Rather than fight her on the statement, I exited knowing the statement could not be true. It wasn’t. A proposal to build on that site is now before the City Council. I tell the tale because at the time I had a client with some interest in the unit. Our job is to provide objective information, not sell. In this instance I said to my client, “I’ll do the market analysis and you can buy the unit, but if you do, I’m writing a note in my file that I told you not to buy it.” How’s that for salesmanship? It’s important to understand all aspects of location. A good source of information is the local assessor’s office. For example, if you are purchasing in a neighborhood on a block face with duplexes, the assessor will have information on owner occupancy. If vacant land is nearby, it’s prudent to check with the assessor’s office and planning department (Are there plans to build? What type of building is allowed?) before making an Offer. Our approach is to do research and obtain information for our clients and provide contact information for our clients to check personally. Location: It’s interesting to find two towns with similar beginnings and housing styles yet with such different home values. The home at the top (Bay View) is probably a $350,000+ home while the one below, in Telluride, could command up to $1.5 million. If you are house hunting remember the Cheetos.Location matters.Information matters. Not being sold matters. Making the right choice matters. It’s why Homebuyer Associates is in business, not to sell you something but to gather information and educate and then negotiate and work on your behalf throughut the transaction. If you are interested in beingsold a home – don’t contact us. If you are interested in making an informed home purchase we can meet over coffee (and Cheetos if the location is right). Fun fact: Our company logo (top right) is a cream city brick home built in 1880. 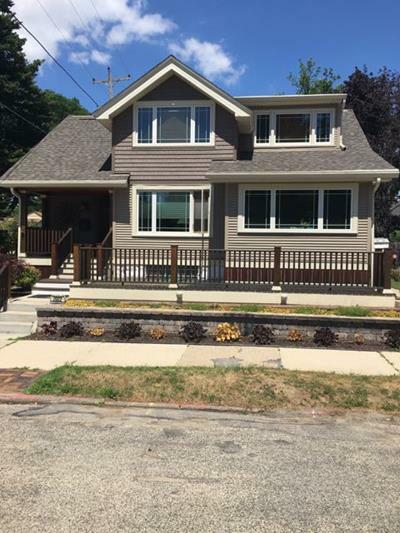 A friend and I totally gutted that home many years ago and returned the home to its original style, one of my more fun and interesting housing rehab projects over the years. 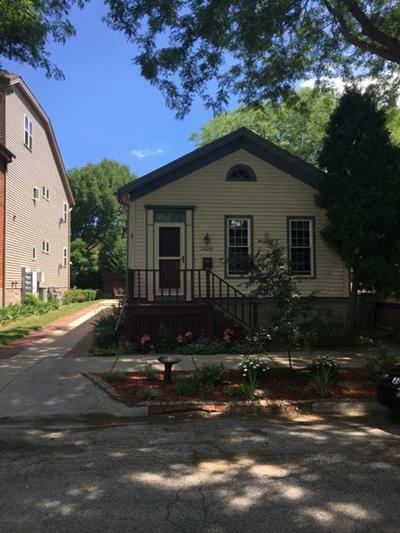 It is assessed at $199,000. If the home was located in Telluride the number would be $1.7 million. Should have been eating Cheetos in Telluride.